I hope you enjoyed our Birthday blog hop last Friday, it was so much fun and we had so many fabulous sponsors. 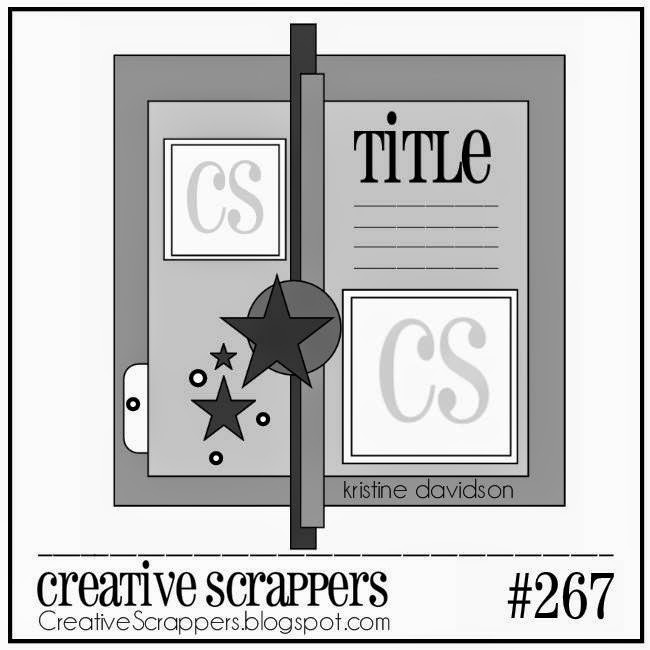 Today we have a new sketch for you at Creative Scrappers! This one is sponsored by My Creative Scrapbook. For my layout I used these photos of Phiene, taken during one of our shopping trips. We went to Sephora and I showed her how to play with make up and she enjoyed it so much, she just needs a little more practice! I used the Dear Lizzy Day Dreamer collection, which is perfectly girly and is a great match to the photos. I hope you will have as much fun as I had with this sketch. 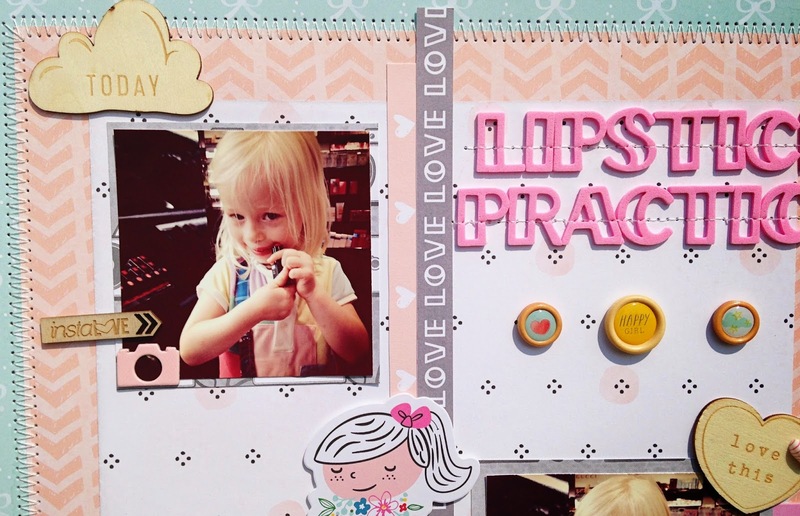 Don't forget to link up your layout over at Creative Scrappers for your chance to win a My Creative Scrapbook kit! It's so cute! You're a great mom for letting her explore. This is sooooooooooo cute! I loveeeeeee the photos, the colors and all the stitching!!!!! This came out awesome Danielle...love the soft colors! This is just wonderful! Great page! This page is very cute! I liked it! I absolutely adore the title! This is so cute Danielle! Love the Daydreamer with your photos and the stitching you added through the cute Thickers!